$0.99 for Pink Mickey In-ear Stereo Earphones + Free Shipping! Today Only! 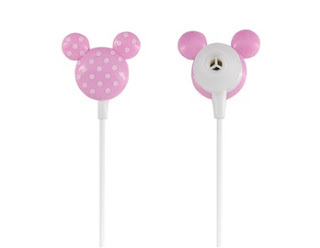 Today only at FocalPrice, you can score these cute Mickey earphones for only $0.99 plus get free shipping! Powerful bass, excellent and stereo sound. In-ear design perfectly fits for your ears. Compatible with all electronic products with 3.5mm port, like MP3/MP4/MP5/CD/DVD/iPod etc. Come with a pair of ear buds for exchangeable use. NOTE: FocalPrice ships from overseas. The site says the US can expect orders in 6-14 days, but don't be surprised if it takes longer than that.